Do you spend a lot of time with your inbox? Do you have a lot of spam messages and you want to delete? Is this driving you crazy? You need a program which do this in an easy and quick way. MailWasher Pro is an app that connects to your email server and retrieves all information regarding email waiting for you. It is designed mainly to help you preview and check any emails coming to your inbox, remove spam, viruses and unwanted attachments while you are completely safe and protected from any harm. The program allows you to easily eliminate the email you don't want so that no threats will be delivered on your computer. The program has many built-in tools which let you download, delete, or bounce emails back to the sender. In that way, you will be able to only get the email you want. You can use your email program to download only those messages you will keep. Anti-spam tools such as Friendslist, Blacklist, RBL's, community spam filter, custom filters and learning filters to ensure legitimate and spam email is properly recognized. Preview pane to see all aspects of your email, (including headers and where links actually link to). Emails are shown in plain text to avoid viruses and malicious scripts running automatically. 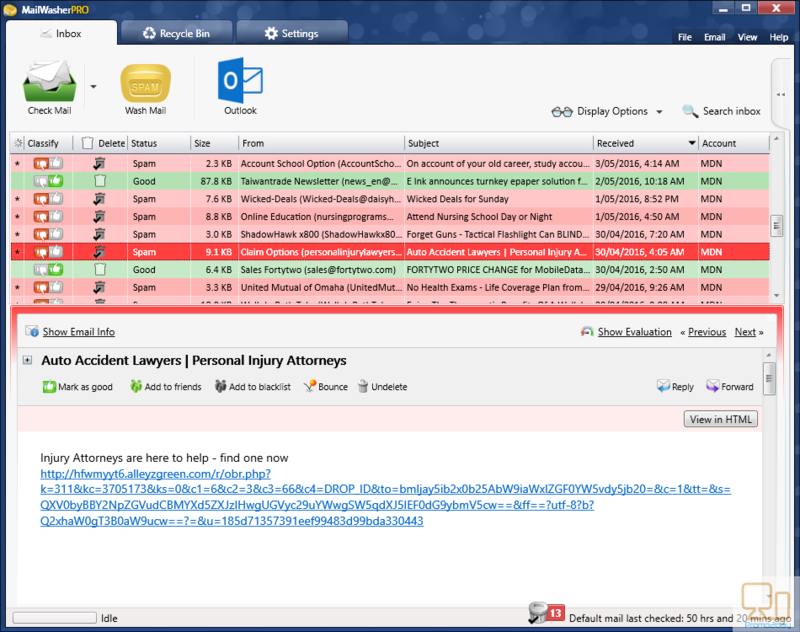 Full searchable recycle bin which helps you to retrieve any accidentally deleted email. Customizable look and feel to enhance usability. Quick and easy setup with inbuilt wizards.